I am totally in love with the whole choker revival, and all the other '90s fabulousness that comes with it. 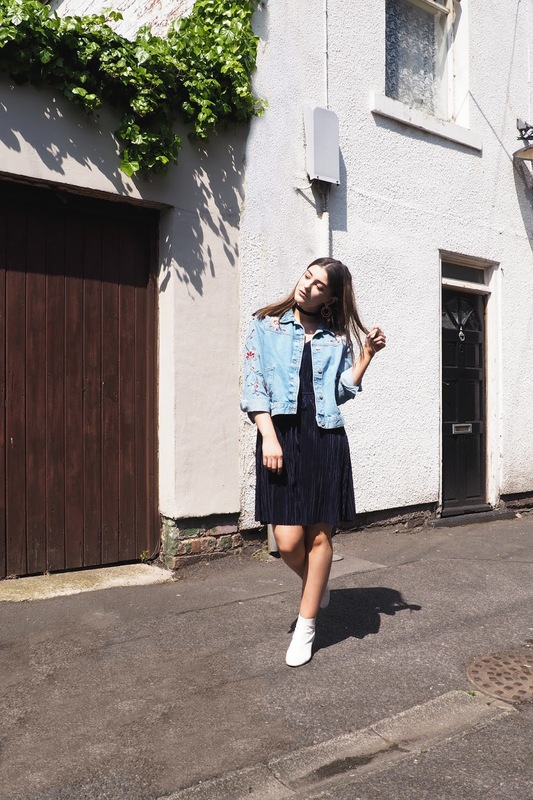 Although I am an avid fan of both the 60s and 70s style, there is something about the grungy 90s which makes me go weak at the knees. The era of Clueless, The Spice Girls and so many other historical fashion moments (will we ever forget that Union Jack dress? ), is everything I love - but pair it with some pieces from different eras and the possibilities are endless. Aside from the choker, a piece I'm more readily capable of welcoming into my wardrobe is the slip dress. 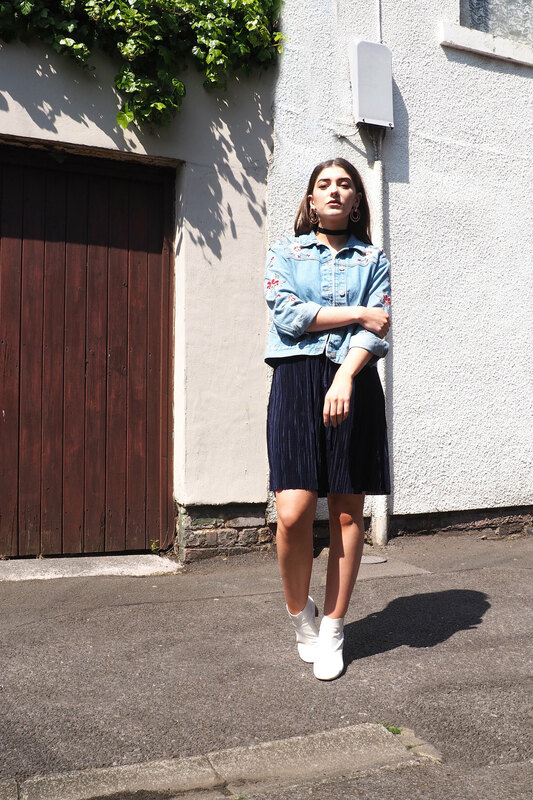 After years of floating around in the world of fashion without a solid place, 2016 has allowed it to have it's moment of glory and a proper reboot into the style hierarchy to become an essential in every woman's wardrobe. This particular number has been given a modern spin with some sassy pleats, which are absolutely everywhere this season. 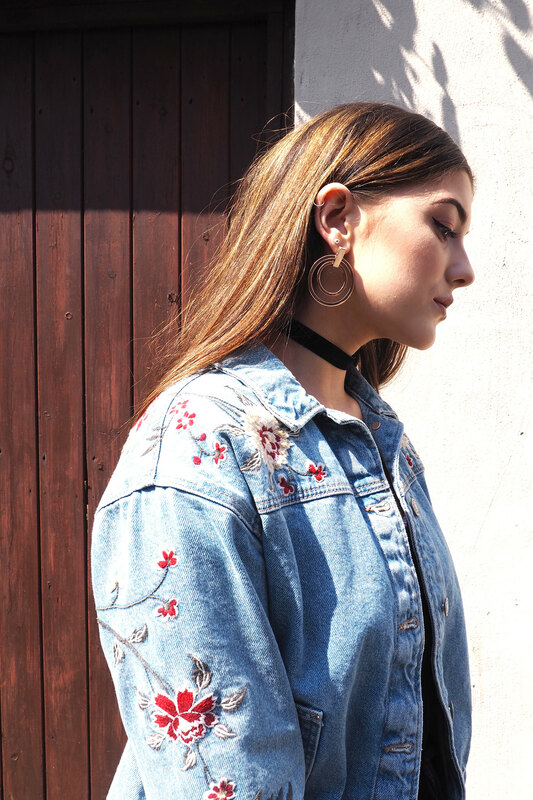 I paired mine with another classic-modern mash-up piece in the form of this denim jacket. 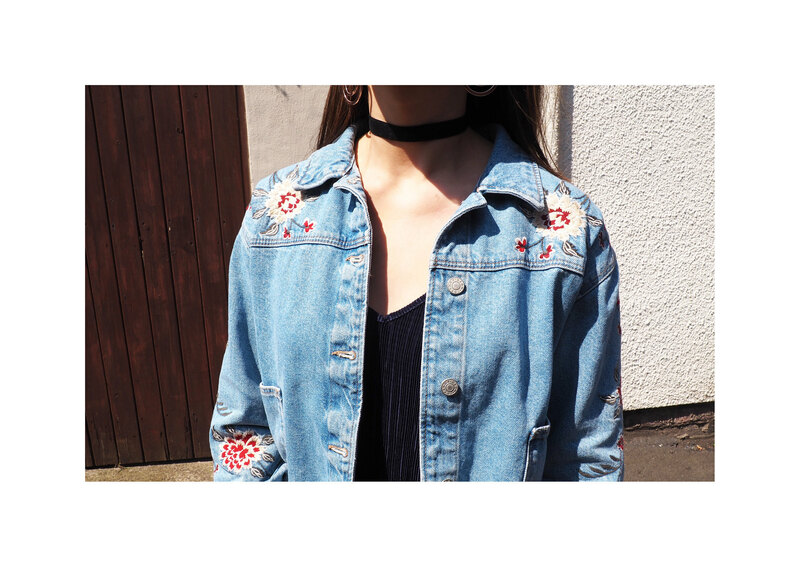 Around since the dawn of time (pretty much) denim jackets are always a style staple, however add some on-trend embroidery detail, such as this exquisite floral number, and you have yourself the ultimate 2016 Summer accessory. Fianlly to finish the look, I'm taking my accessories back to the '60s, with my marvellous Mod boots and some killer hoop earrings. A look I'm pretty damn chuffed with if I do say so myself. Love the look, especially the jacket!